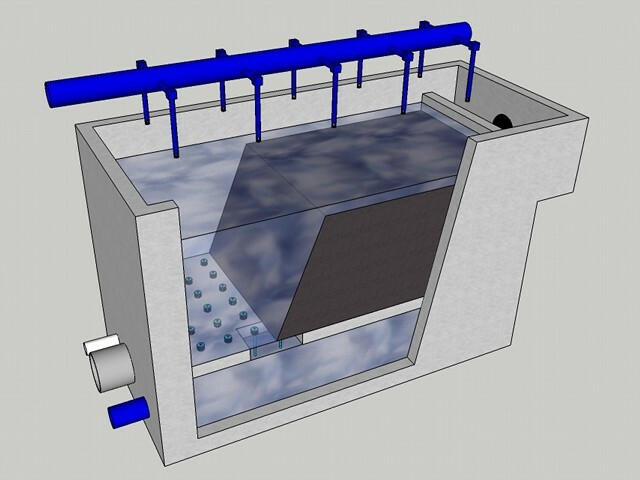 The active carbon filter is a concrete container with a nozzle floor. The active carbon is placed on the nozzle floor. The nozzles will let the water through but not the active carbon. The active carbon filters remove almost all rest products from the water and improve the smell, colour and taste of the water. Normally the active-carbon filter is followed by a aeration, to be sure there is always enough oxygen in the water. Look at an video presentation of a active-carbon filter.